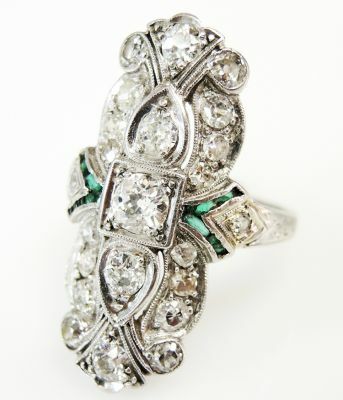 A beautiful Art Deco platinum mill grain ring featuring 1 old European cut diamond, est. 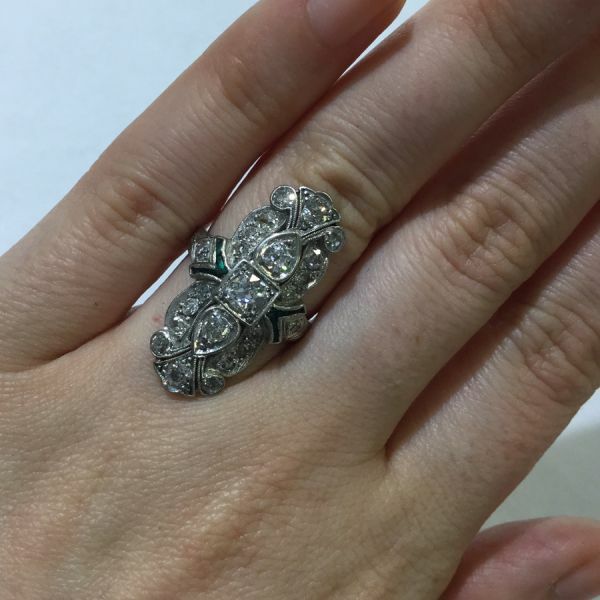 0.30ct (clarity:SI2 & H-I colour); 20 single and old European cut diamonds, est. 1.32ct (clarity:SI-I1 & I-J colour); 2 round brilliant cut diamonds, est. 0.30ct (clarity:VS-SI & G-H colour) and 8 straight baguette medium green synthetic emeralds (typical of the ERA), approx. 2.0x1.0mm - 2.5x1.0mm.